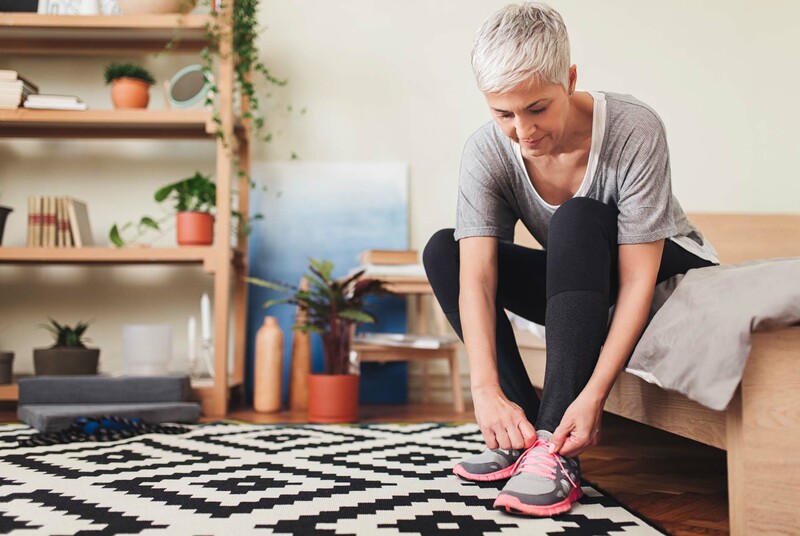 Our feet are easy to neglect – but they need some loving care, especially as we get older, podiatrist Emily Smith explains. From the day we start walking, our feet are subject to extreme conditions. The foot is an extremely resilient part of the body, but its biological age and appearance is influenced by many factors, both internal and external, all compounded by its complex musculoskeletal structure. Modern-day activity and poor footwear are the most common causes of premature ageing of the foot. Other factors can include genetic foot posture disposition, body weight, systemic disease like rheumatoid arthritis, lack of essential dietary nutrients and too much, or too little, weight bearing exercise. What happens to your feet as you age? Ageing of the foot is often associated with degeneration of the bones, joints, soft tissue and fat pad (the internal protective cushion in our feet). Long-term exposure to excessive load and abnormal forces acting upon the foot (i.e. high physical load or inappropriate footwear) can lead to arthritis, deformity, reduced function, or loss of the fat pad. In older people, it’s common to find signs of arthritis, thinning of the fat pad, clawing of the toes, bunions and dorsal lumps, as well as calluses and nail complaints associated with foot deformities. However, advanced wear and tear can also be seen in younger people, particularly those who wear a lot of unsupportive footwear, ex-athletes, people with genetically-predisposed foot postures (i.e. excessively flat feet) and people who have highly physical occupations. Shoes with a suitable length – not too short and not too long. Appropriate width (not too tight or too loose), with the right shape to fit your foot. Adequately fastened shoes that are securely fitted onto the foot without requiring gripping or activation of your toes to hold it in place. Avoid hand-me-downs of footwear – they rarely fit appropriately and are often ‘worn in’ to the previous owner’s foot. Use a tennis ball to massage your foot at the end of the day. Stretch the top of your foot and your toes by using your hand to apply downward pressure across the toes. While sitting barefoot, without assistance spread your toes. Hold the toe spread position for as long as possible and repeat five times daily. Stretch your calf muscles daily by dropping your foot off a step. Hold for 30 seconds and repeat five times each leg. Undertaking regular weight-bearing exercise of more than 30 mins per day. Seeking specialist medical opinion for assessment of ongoing pain or injury.